At Naples, Cooker Hood Ducting is one of our bestselling product ranges. 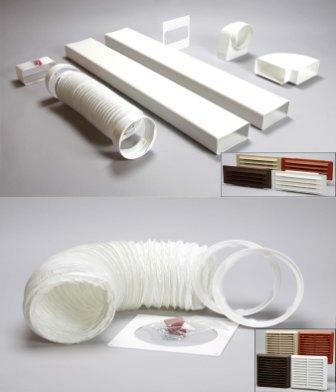 We stock a wide range of cooker hood kits, in both PVC and Plastic to both trade and public customers. 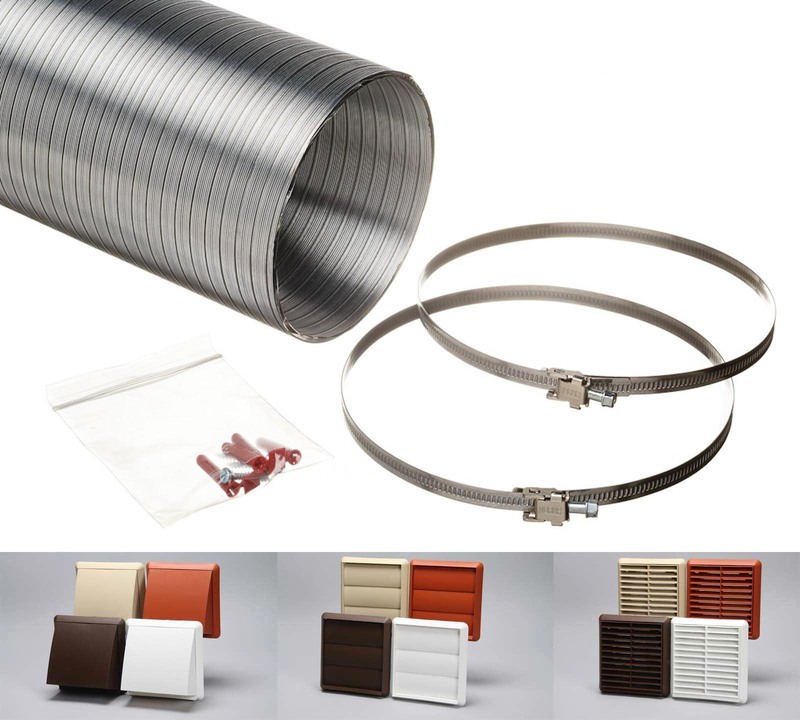 Our Cooker Hood Ducting Kits are available in either one metre or three metre kits and can be specified in rectangular kits, round kits and semi rigid aluminium kits. 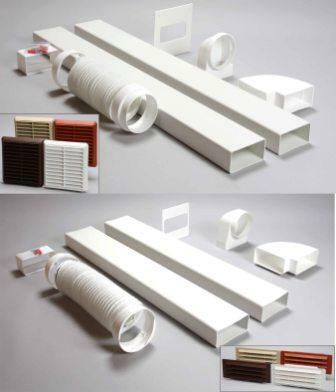 The rectangular kits are supplied in three metre kits, which contain two metres of flat channel ducting and one metre of flexible round ducting. So why do we need Cooker Hood Ducting? Cooker Hoods are usually vented through an outside wall, removing air, steam and most importantly smells out of the kitchen. This best practice is now a requirement in all new build homes, as building regulations requirers ventilation from a kitchen. We always recommend that your cooker hood is next to an outside wall, this minimises the amount of ducting needed and maximises the performance of the unit. 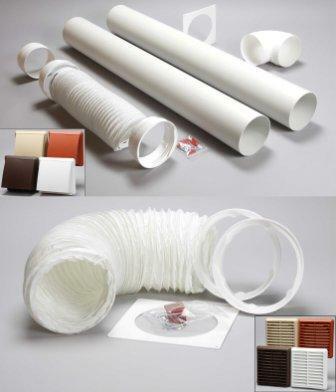 Remember that every bend in the ducting run will reduce the airflow. As always – if you have any questions – just get in touch and we will be happy to help.